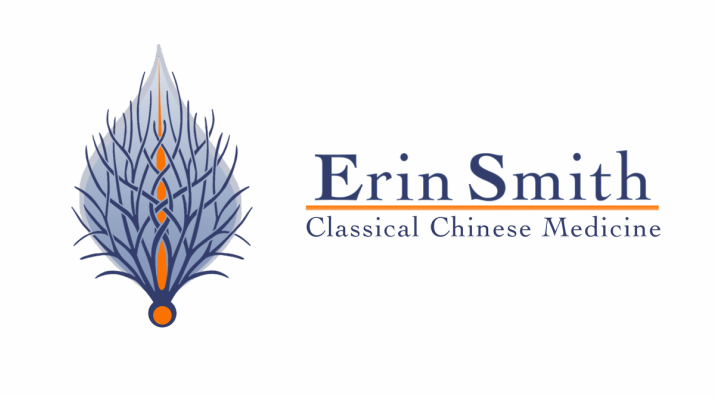 About Erin - Erin Smith, M.Ac., L.Ac. I feel truly blessed to have discovered a life's work as rewarding and fulfilling for me as practicing acupuncture and Chinese medicine. I am eager everyday to go to the office or be invited into a patient's home to provide the best holistic medical care that I can. I truly value and cherish each individual that I am privileged to work with, and I am inspired and humbled at every unique story and set of experiences that is shared with me by each of my patients. What is most rewarding for me in my work is discovering that I have made a difference in someone's life. So many patients come to acupuncture at the end of the western medical road. They have tried every procedure, medication, have a laundry list of medical conditions and symptoms, and still have found no relief from their suffering, which is something I can personally relate to. What I enjoy the most is when these patients start to finally have some relief, even after decades with their conditions, and they are inspired to make changes and start living a more healthy and balanced life. This is the reason I became an acupuncturist, to have as many experiences like this as I can, and nothing brings me greater joy. What is the biggest misconception that you hear about acupuncture? I have heard from a lot of people over the past several years say that they will not try acupuncture because they do not believe in it. The biggest misconception about acupuncture and Chinese medicine is that it is a belief system or religious practice, when in fact it is a science of nature and medicine that has been in existence, observed, and practiced for thousands of years. The development of Chinese medicine and theory did occur in a culture based in Taoist, Buddhist, and Confucian values, but the same is true of western medicine, which has its roots in Christianity, as well as Judaism and Islam. No matter what your religious beliefs are, many people from any walk of life can benefit from the use of acupuncture and Chinese medicine. Although having an open mind about what you are doing will always have a positive impact on your health and well being, it is not essential to "believe" in acupuncture for it to have a positive impact on your life, which many modern studies have proved to be accurate. Just as many people who believe in Daoism and eastern religions have and will benefit from the use of antibiotics, just as many Christians, Jews, Muslisms, and all other walks of life can and will benefit from the use of acupuncture and other modalities of Chinese medicine. No matter what your religion is, both are medical sciences, and both help to save lives and ease suffering. The most important thing I do to stay healthy is watching what I eat. I am very conscious to avoid all processed foods and meats that are not from the wild or pasture raised, and at this point, I am about 80-90% successful in this goal. It has taken a long time and a lot of diligence, research, and label reading to get to this point, but in my opinion, this is the best thing anyone can do for their health. There are a lot of food companies, and even members of government agencies, that do not have the consumers best interest or long term health in mind when they sell us their products or create government policy. Without getting too political here, if you consume mostly processed, chemically derived foods, your health will suffer for it eventually, and you will most likely spend much more on pharmaceutical drugs and medical procedures then if you spend a little bit more on the food you are eating 3 times per day. Food is, and always will be, the best medicine. Stay tuned for more information about healthy eating in my blog, and check out my Resources for Healthy Living page as well for more information. Aside from organic, grass fed, and home grown food, I also make sure I get plenty of exercise. My favorite forms of exercise at the moment are walking, hiking, and practicing yoga and taiji. I also try to keep the amount of stress I carry to a minimum. To help ease my physical, mental, and emotional bodies, I make sure I spend a lot of time in nature, get regular acupuncture and massage treatments, meditate regularly, and make sure I have enough time for friends, family and fun! Finding what you are passionate about in life and spending your time in service of that is another very important feature for a happy and healthy life. A lot of people have asked me this question, and I thought I would share a little about my path to becoming an acupuncturist to whoever may be interested. I was lucky enough to discover from an early age that my passion in life is in helping to reduce the suffering of others. When I was 2 years old, I was diagnosed with a rare health condition, which led my doctors to do further testing. At the end of one of these tests, I went in to cardiac arrest and had to be revived with the insertion of a glucose filled syringe into my lower leg. They thankfully were able to save my life, however that experience would alter the quality of my life forever. The day after the procedure, my lower leg swelled up to 3 times it's normal size due to the improper injection of the glucose solution into my leg. I had developed compartment syndrome overnight, and an emergency surgery was performed to reduce to pressure and save my leg. This first surgery unfortunately led to the improper growth and development of a rapidly growing toddler leg and ankle. From the ages of 12-21, I had another 8 surgeries in attempt to correct the various problems in my leg and ankle, which was leading to a lot of pain, discomfort, and an inability to participate in sports and other activities I wanted to as a young girl. When I was about 15 years old, I started receiving physical therapy in Mt. Airy, Maryland in recovery from one of my surgeries. I will never forget my physical therapist, Lisa Taylor, who first inspired me to dedicate my life to helping others. She was very generous in helping me get a job as a physical therapy receptionist and soon after a technician. I continued working as a technician for the rest of high school, and all throughout college at several different physical therapy clinics throughout Maryland. I worked with a lot of fantastic therapists, who taught me so much about patient care and working with all types of people who are in pain and suffering. When I was working on my undergraduate degree at Villa Julie College (now Stevenson University), one of the doctors I worked with, Dr. Steven Friedman, introduced me to tai ji chaun as an internal martial art form that may help me with the problems I still suffered with my leg. I started taking tai ji chuan at USKA in Owings Mills, Maryland, and got introduced to eastern philosophy and medicine as well. I immediately became engrossed in what I was learning, and realized that my true passion lies in the eastern traditions of holistic thought and medicine. I started receiving acupuncture and practicing tai ji on a regular basis, and my life slowly started to transform. The amount of pain I experienced on a daily basis was decreasing, my function was increasing, and my mind was expanding into the realm of eastern medicine, where it has lived ever since. By the end of my sophomore year of college, I knew that I wanted to become an acupuncturist. That summer I took a road trip with my dad and started looking at Chinese medicine schools all over the country. I was attracted to and inspired by many of the schools I visited, but I ultimately fell in love with Portland, Oregon and attended NCNM for classical Chinese medicine starting in 2007. My time at NCNM and in Portland truly transformed my life and helped me to become the person I am meant to be. I met some of the greatest teachers, friends, and colleagues that one could every hope for, and I am truly blessed and forever grateful for my time there and the journey that led me there to become an acupuncturist, and a more inspired and consciously living human being. One of the greatest lessons I have learned thus far, is that despite the hardships we may go through in life, it is important to realize that those hardships are usually in service of a greater plan, even if it is hard to realize that during those times of suffering. Without the experiences I have had in my life, although there were many times of pain, I would probably not have discovered what I was meant to do in this life. I am lucky for all experiences I have had so far in my life, and I hope to inspire others to live up to the lives they are meant to live, and help ease their pain during those times that are difficult and full of suffering.